In this week’s “Winemaker Interview,” Kristen Parsons talks about how family tradition set her on her winemaking path. Through hard work, perseverance, and her passion for wine, Kristen was able to position herself to achieve her winemaking goals. I grew up in an Italian family where wine was part of our celebrations. No one in my immediate family made homemade wine, but distant relatives and family friends did. I developed a palate for wine at a young age and fell in love with it. During my time at Babson, where I was focusing on the entrepreneurial studies of opening a vineyard and winery, I decided that I wanted to learn every aspect of the business. I took several internships during the summer and winter where I first studied the business end, marketing and finance, then hospitality, viticulture and enology. After this, I found that I had a passion for working in the fields and in the cellar and crafting wine. I then went out and studied in Italy for a semester at Lorenzo de Medici and learned about Italian wines, just furthering my desire to make wine. Upon returning and graduating I decided to continue my education and went to school for Enology and Viticulture at Washington State University to realize my dream of making wine. Professionally, I have been making wine for close to seven years. 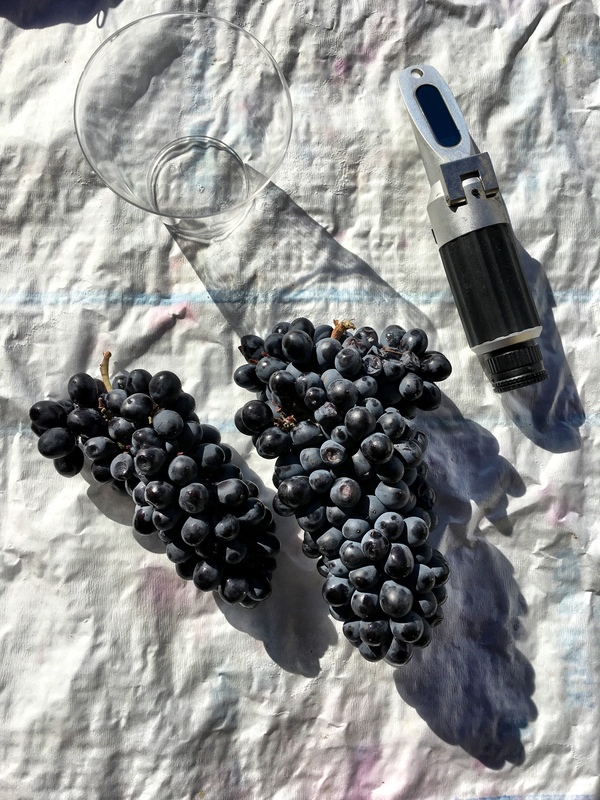 How were you introduced to winemaking in Connecticut? I was introduced to CT winemaking at Chamard Vineyards when I held an internship during my years at Babson College. Funny and wonderful how I ended up making wine here after all these years. I felt like I was coming home, and the crew that was here made it even better. The greatest challenge for a winemaker in CT is growing the grapes. It is a short growing season with a very humid climate. Wine is not just made in the cellar but is grown in the fields. The cost of growing grapes in CT is high and the yields are low. Grapes must be brought in to make enough wine to support the vineyard. Bringing added agricultural production to the state. Making wine from CT grapes is difficult due to the terroir and crafting a quality wine from such grapes is more challenging. 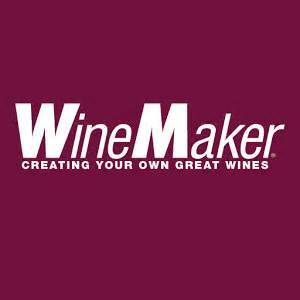 This forces CT grape-growers and winemakers to really study their craft and be extremely dedicated and resourceful. When harvest is nearing we begin testing the grapes for sugar and acid levels and then begin placing lugs in the rows of grape varietals that will be ready for harvest first. The grapes are hand picked into the lugs and collected into the back of the trailer pulled by a tractor. They are brought to the wine cellar where we have the destemmer -crusher and press cleaned, sterilized and ready to go. The white grapes are crushed and pressed into a pre-chilled tank. The red grapes are crushed and pumped into a vessel for fermentation on their skins. I cannot say how my wine making approach differs from others. I do make sure that any juice adjustments of acids, sugars or tannins are made prefermentation. I do not like adding any acids or tannins to the wine post fermentation because I feel that it negatively affects the flavors of the wine. I test, taste, and document the juice everyday through fermentation. I like to take my time and taste and test the wine the whole way through its life. My general winemaking philosophy is to try and make wine that is as much as posssible vin de terroir, that is to make the wine to express a sense of place rather than the stylistic efforts of the winemaker. I like to be as natural as possible and bring out the best of the grape. I learned this from a very inspirational winemaker, Randall Graham. A good vintage comes from a good growing season. On the east coast that is a long, warm and dry season with no rain around harvest. A simple technique that I have always wanted to try is to ferment grapes on their indigenous yeast. I would like to try this wild, spontaneous fermentation to add a greater and diverse range of flavors and increase the aromatic complexity to the wine. Which wine-growing region has had the most influence on you? This is so hard to say! In Italy I experienced how grape growing and wine making was a way of life and how wine was a part of the culture. This began my romance with wine. I worked viticultural research positions throughout central Washington State during my time in college. This is where I fell in love with viticulture, the beautiful vineyards, the terroir and the resulting wines. Upon moving back to the East coast, in VA and then CT I had to learn a whole new growing region and how to care for grapes in a new climate. This would be my first time growing grapes that I myself would be making wine from. Here I learned first hand that you grow the wine in the vineyard, that the viticulture is as important as the oenology. Wow, that is a hard question. Perhaps all the manual labor involved. Maybe the amount of time spent cleaning and sterilizing. Perchance the length of time (sometimes years) that it takes to complete a vintage. Everything! Especially guiding the wine through the whole process from start to finish, watching it evolve and mature, the changing tastes and aromas. To see how each growing season can affect the resulting wine. I guess that would be the first wine I ever vinted, not because of the varietal, but because of the memories and intricacy of the process, which produced a very complex and layered wine. It was an oak Chardonnay that I barrel fermented in French oak barrels ranging from brand new to 5 years old from several different forests. I used five different yeasts and surlies aged it over a year. It was vinted in 2007 and I have but one bottle remaining. One of my first inspirational winemakers was Randall Gram. He is the proprietor of Bonny Doon Winery in Santa Cruz, CA. From the beginning Randall was a leader in innovation in the wine industry from cyro-extraction to microbullage. He has always thought way outside the box. He embraced Biodynamic viticulture and producing wines of place. Another of my inspirations is Charles Smith, the proprietor of K Winery in Walla Walla Washington, among many others to date. I studied near his winery in Washington when he was just beginning his venture into wine. He was a rock and roll manager and now a self-taught wine maker. He began with a love of Syrah, one of the great Rhone varietals, and he brought new and bold ideas and attitudes to the wine community. He worked on a label “The Modernist Project” with intent to create wines true to both the varietal and the vineyard that could be imbibed right away, which is the way wine is consumed today. I will name but one more inspirational wine maker, Jef Stebbin (pictured above), a California winemaker, whose first harvest was with Opus One, with a UC Davis degree in fermentation management. He came to the east coast with his profound knowledge of chemistry where I got the chance to meet him and learn from him. He embodies the patience and passion of winemaker and teacher and has passed on to me some great information that I share with my fellow winemakers. Visit Jeff at his new winery, Maple Springs Winery in Bechtelsville, PA! I have to say, after a hot, long day of harvest a cold beer is what many winemakers reach for. I would have in the past, but have since discovered gluten allergies. I myself would enjoy a nice stout with roasted barley. The Bistro pairs delicious foods with the wines made on the property. Many of the vegetables and fruits that are sourced for the bistro are from Chamard’s on premise garden. Very much a farm to table atmosphere, Chamard Vineyards is a fantastic place to sip great wine and enjoy delicious food with family and friends. I hope you enjoy your visit! Cheers!